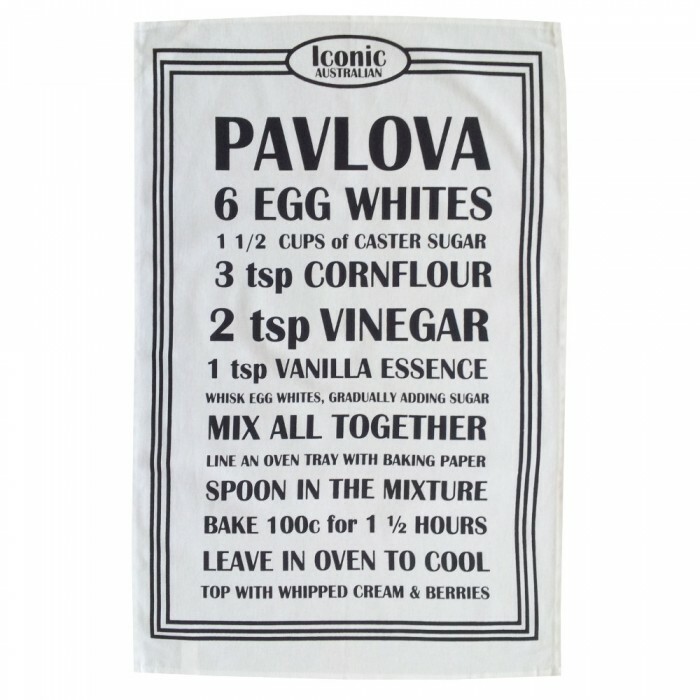 A tea towel featuring a recipe for pavlova. Approx. 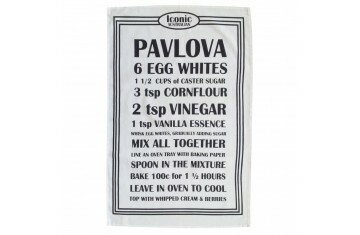 size: 75 x 48 cm. We sell a variety of gifts for people of all ages! Open 7 days a week, we're based in Devonport, Tasmania, Australia. Our physical shop is in Latrobe and we welcome you to come and say "Hi"!